If you know anything at all about comic books, you know there are hundreds of different superheroes out there. Thousands. So with so many to choose from, you might ask, why in the world do we need to keep re-making movies of the same ones, over and over? Well, that's a pretty good question, I suppose. I'm sure part of the answer has to do with money. Piles and piles of money that fans will pay to see their favorite heroes up on the big screen. So as long as she keeps giving milk, you keep milking the cow. Milking cows is one thing, but milking spiders is another. I have to admit, even I was a little confused as to why we needed another Spider-Man reboot so soon after the last three-part franchise offering with Tobey Maguire and Kirsten Dunst as Spidey and gal-pal Mary Jane Watson, respectively. They were pretty good super-flicks, and audiences indeed anted up all kinds of money at every installment, ensuring each would spawn a sequel. So three Spider-Man movies later, we were ready to move on to other heroes, like all the Avengers prequels and their sequels and so on. We just didn't need another Spider-Man. Henry Ford purportedly said, "If I had asked people what they wanted, they would have said faster horses." And if you had asked comic book fans what they wanted, it seems unlikely they would've asked for more Spider-Man. But then, that would have been a real shame, because they would have missed out on a truly remarkable film. For starters, The Amazing Spider-Man was directed by a guy named Marc Webb, so that seems somehow strangely serendipitous. Peter Parker/Spider-Man is played by Andrew Garfield, who, if you recognize him at all, is best known for a supporting role in 2010's The Social Network. In that film he played Eduardo Saverin, one of the co-founders of Facebook, and oddly enough, in a film that also has a great deal to do with the web. Serendipity strikes again. The film begins with a glimpse at the very early life of Peter Parker and how he came to live with his Uncle Ben (Martin Sheen) and Aunt May (Sally Field). As a teenager, Peter's aptitude for science and solving mechanical problems is evident both at home and at school. Although he tends to be shy and more interested in photography than people, he also proves he is no coward when he foolishly stands up to a bully who is tormenting another student. His actions earn him a humiliating public beat-down, but they also earn the attention and respect of Gwen Stacy, a beautiful, blonde girl at school who also happens to be the daughter of Captain George Stacy (Denis Leary) of the NYPD. Gwen has been interning with a prominent scientist, Dr. Curt Connors (Rhys Ifans) at at a pharmaceutical company, Oscorp. Parker fakes his way into the building to meet Dr. Connors, but runs into Gwen Stacy instead as she is conducting a tour of the facility for some local science students. After Peter leaves the group and does some snooping around on his own, he discovers some genetically-modified spiders are spinning some kind of super-strong bio-cable. One of the spiders bites Peter, and on his way home, he begins to experience some strange side-effects from the bite, including significantly increased strength, speed, and agility. As a result, he accidentally beats the crap out of an entire gang of ne'er-do-wells on the subway. What follows is a pretty believable look at a typical teenaged reaction to a sudden infusion of unimaginable power and potential. Peter's first impulse is to retaliate against the school bully, but he is wisely reprimanded by his fatherly uncle and reminded that he has a greater responsibility in this life to help people, not to simply satisfy his own desires. Uncle Ben has no idea about Peter's transformation, but he knows the man Peter is capable of becoming and has always tried to provide the proper, familial framework for his nephew to grow up in. Later that evening, Peter is dismissive of his uncle and neglects his aunt, and Uncle Ben again calls him on the carpet for it. Peter explodes out of the house and his uncle follows after him, but tragedy strikes suddenly and unexpectedly, and Peter's life is altered forever. This might be a spoiler alert for some, but I'm not giving anything away here if you've ever read a Spider-Man comic book or if you've ever seen a previous Spider-Man movie: Uncle Ben gets shot dead, and Peter blames himself. This is a pivotal moment in his young, troubled life, and an impetus to explore and improve upon his new-found skill set. 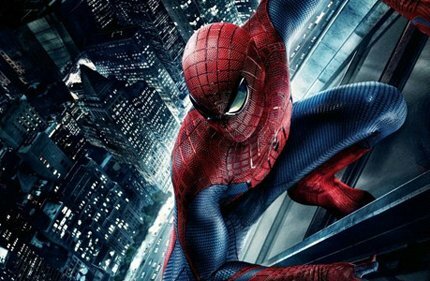 He learns through a series of awkward, humorous, and exhilarating experiments just how to hone his spider-like powers. We experience with him the gawky baby steps of discovering that the amazing attributes of an arachnid have been genetically mutated into his mind and body, and that once-simple tasks like turning on a faucet or squeezing a tube of toothpaste have become a nearly impossible new experience. Enormous strength requires a delicacy of touch and movement in a world where mere mortals make their way, and Peter, who has always felt like a bit of an outsider, is now painfully aware of just how different he has become. Peter was an avid skateboarder, and we watch as he translates the balance and movement and jumps of skating to a new arena where gravity means less and a situational awareness is everything. We witness Peter's problem-solving prowess as he figures out how to adapt the super-strong cable the genetically-altered Oscorp spiders were making into something he can shoot from a self-designed, wrist-worn gadget. Harnessing this tool takes painful patience, learning how to judge speed and distance and height and velocity as he flings himself over the sides of buildings suspended on his webbing, sling-shotting from skyscraper to skyscraper. I appreciated the fact that under Webb's direction, the depiction of Spidey swinging through the Manhattan skyline was different from previous directors' takes on the topic. The tendency had been to show, after a sufficient period of training and experimentation, a very fluid, almost effortless movement on the part of our hero as he glided between buildings, swooping and soaring with such grace and ease that we were supposed to accept that this was somehow normal, super-powers notwithstanding. What we see in Garfield's Spider-Man is, I think, a more accurate accounting of how a human being might propel himself, assuming some appropriate level of suspended disbelief that even gets us there in the first place. Spider-Man's movement is only graceful in the sense that anything falling from a sufficient height appears to be somewhat suspended in the air, its movements momentarily appearing almost in slow motion (remember the old joke about jumping off the Empire State Building; it's not so much the falling as the very sudden stop at the bottom). As Spider-Man hurtles himself through the streets of New York, we are impressed for a second or two with that smooth sense of free-falling freedom, and then we are jerked back to a realization of some law of physics that I am not qualified to quote but that is, nonetheless, very much in play. If you've ever seen somebody bungee-jump, you know what happens at the very bottom of your free-fall: the elasticity of your ropes extends to capacity, there is a frozen moment when movement stops, and then the cords yank you back up toward where you started, only with not enough momentum to get you all the way back. Then you sort of bounce up and down, sputtering out like a spent yo-yo. Imagine, then, if you could bungee-jump horizontally instead of vertically, and while you're at it you could somehow switch to a new bungee cord at that exact moment when the first one had completely stopped moving. Now you could indefinitely propel yourself from place to place, but the fluidity of the movement would briefly but violently be interrupted as you released one cord and latched on to another. Add that to the uncertainty of distances attempted, unpredictable crosswinds and updrafts moving around buildings and through alleyways, and the need to dodge buses or bullets or bad guys, and, well, it isn't to hard to imagine just how this method of travel could all at once be breathtaking, turbulent, and terrifying. And that is precisely what we see on screen. What we also see on screen is an honest snapshot of families, two in particular, who are honestly trying to raise their children with love. Parents who teach their children important life lessons, who trust them and expect them to live up to expectations. Children who love and respect their parents, although they sometimes disappoint. Parents and children who deal with tragedy and who are also grateful for blessings. Sometimes they make bad decisions and have to deal with consequences they'd rather not. Sometimes they get the opportunity to repent and fix things; sometimes life happens faster than they're prepared for. I don't want to make Spider-Man more important than he is in the real world, but we need heroes to remind us that doing good for goodness' sake is the right thing to do. We need to be reminded that we should stand up for the little guy, defend the weak and protect the helpless. It's important to have heroes who understand that where there are rights there are also wrongs, and that we can choose the right, even against seemingly impossible odds. The Amazing Spider-Man also reminds us that with great power comes great responsibility, and this film takes that responsibility very seriously.